We have been Peru’s leader tour operator since 1984 and over the years, many companies as well as private travelers have trusted our professionalism. Some of our satisfied customers include groups from prestigious institutions such as The National Geographic, The Stanford Alumni Association, The Smithsonian Institution, WWF – The World Wildlife Fund, among others. Our great expertise means we can show you how to experience Peru’s most incredible places and with our in-depth knowledge, how to visit some of the most amazing destinations in the country. Our Staff of Tour Guides and Destination Specialists, have travelled extensively throughout Peru and are willing to share their in depth knowledge and passion for our country with you. Traveling with us, you will be able to explore Peru in a different and unique way, enjoying the authentic spirit of Peruvian culture. All of our packages include the most innovating and exciting ‘Off the Beaten Path’ experiences and we are proud to present some of our exclusive destinations, such as: Hatuncancha Andean Community and Villa Tipon, The Magical Journey (featuring several unique destinations) which we strongly recommend visiting. Definitely this is the best way of discovering Peru! We are proud to have as part of our team, the best Tour Guides in Peru. Some of them have been recognized as top professionals in the country by the Ministry of Tourism. Our Destination Specialists can advise you from their own personal travel insights and with their vast local knowledge, give you a real insight into Peru. Our staff is committed to create a truly unforgettable experience for you! The properties in which you stay is one of the factors that ensure you have an experience you will always remember. Through our years of experience, we have individually hand-picked our hotels, restaurants and services in every destination in Peru. They are dedicated to provide the same quality of service as ourselves and are committed to offer you the very best experience with the highest service standards. Our Concierge Service Team is able to assist you with anything from restaurant referrals & reservations to arranging celebrations for a special occasion. Our Concierge Assistants are accessible 24 hours a day, 7 days a week. In summary, we can do almost anything to make your travel experience as enjoyable as possible. 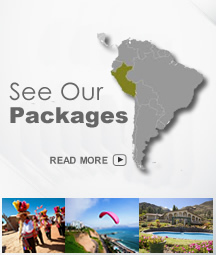 Peruvian Odyssey arranges tailor-made tours for individuals or groups. Each and every itinerary is arranged according to your precise requirements. In this process, we would like to discuss and design the itinerary together with you to ensure that your wishes and expectations are met from the outset. We strive to set an example of ethical behavior and how to play an active role in the development of Tourism in Peru and the protection of our living cultures, natural and archaeological resources. By integrating social responsibility, we hope to increase the benefits for local communities while working in harmony with the environment. Learn more about our Social Work with the Andean communities. Our capacity to manage the day to day operations demonstrates our high level of professionalism in handling any possible issues that may arise during your stay, such as: strikes, natural disasters, accidents, etc. The right decisions that we take especially under those circumstances is part our great expertise. Our team will ensure you get the best possible care, because your safety and satisfaction matters the most to us.